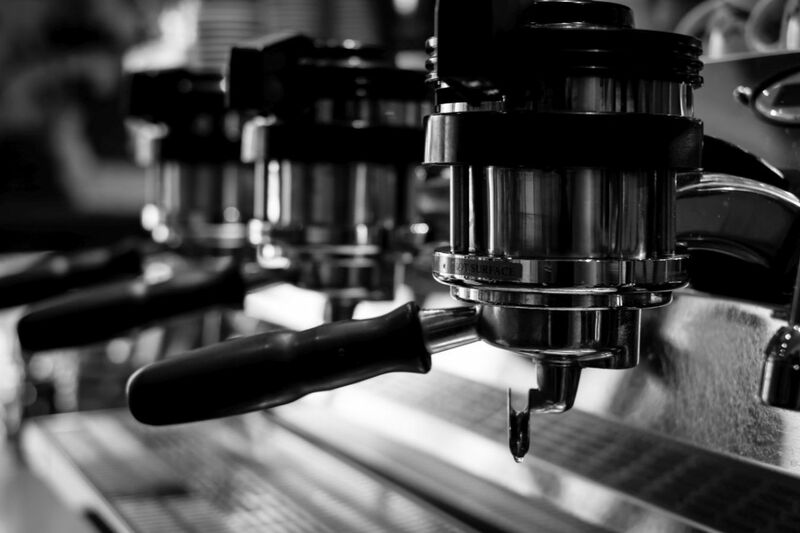 The disconnect between the attention to detail in the kitchen and the coffee on the restaurant menu can be a bone of contention for many coffee professionals. After all, the disappointment of a bitter-tasting espresso rather than the sensory climax to conclude a gastronomic experience can be all too common. 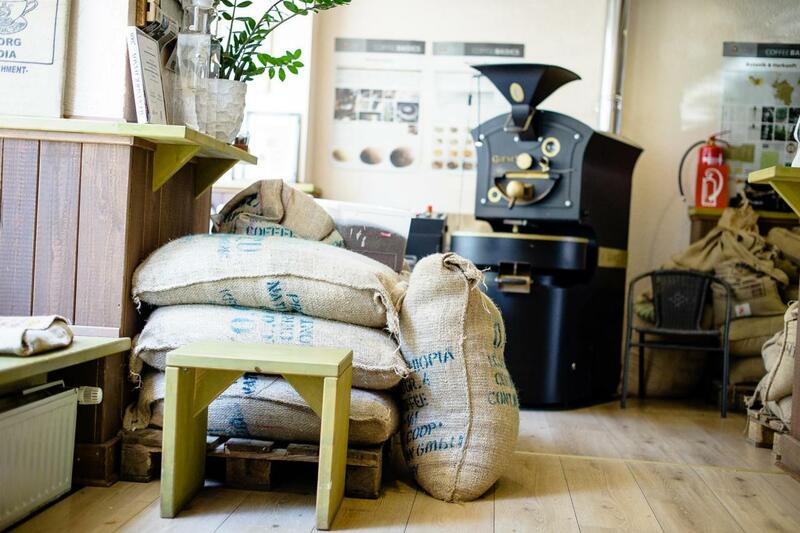 Considered by many in the hospitality industry as an afterthought, this disconnect is what drove Olga Sabristova of Die Kaffee Privatrösterei to make a difference. “For a lot of restaurateurs, coffee is still a stepchild. It is prepared without love or passion and where nobody attaches great importance”, says Olga. Her fightback came after more than a decade’s worth of experience working in restaurants where she saw how coffee was brewed as a caffeinated distraction to the main culinary event. At the time, she was working at a company canteen, in Düsseldorf, that sported its own integrated coffee bar which she described was ‘great fun’. It was, however, her own appreciation of gastronomy after taking up an apprenticeship as a chef that brought Olga into the sphere of specialty coffee. She soon realised that beyond the more simplistic descriptions of either Arabica or Robusta, there was a whole world of origins, varietals and cultivars offering different cup profiles to explore. It was during this apprenticeship and attendance at a number of coffee courses and seminars, that Olga was encouraged to experiment further. 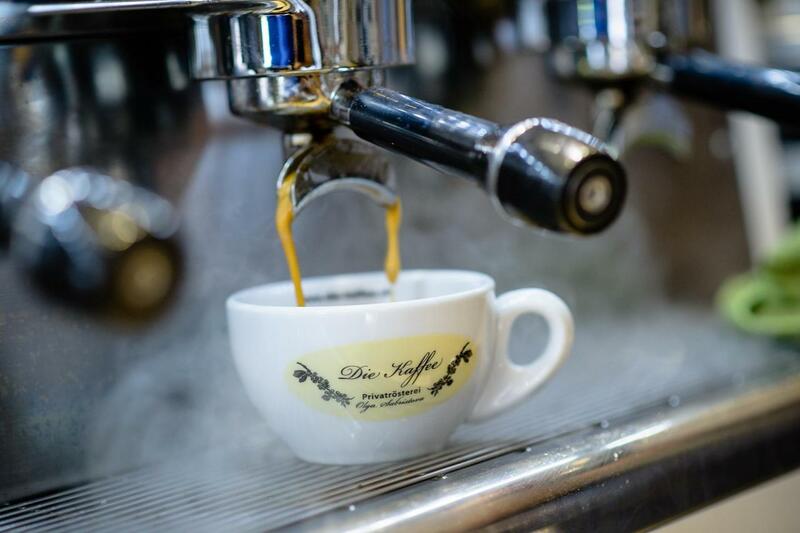 “I didn’t have a classic education about coffee such as how to make cappuccino, espresso or macchiato. It’s always about the coffee, but it was about taste. Which milk is matching best? What is the flavour like? You have to be able to smell and taste. This is crucial as a roaster but also as a barista. You’re not only doing Latte Art and nice pictures, you’re a cook”. Olga was introduced to roasting for the first time during a short internship at Mondo del Caffe in Luxembourg seven years-ago. It was this opportunity that opened the door to the production processes involved in the roastery after first trying her hand at the helm of a Dutch-made Giesen. 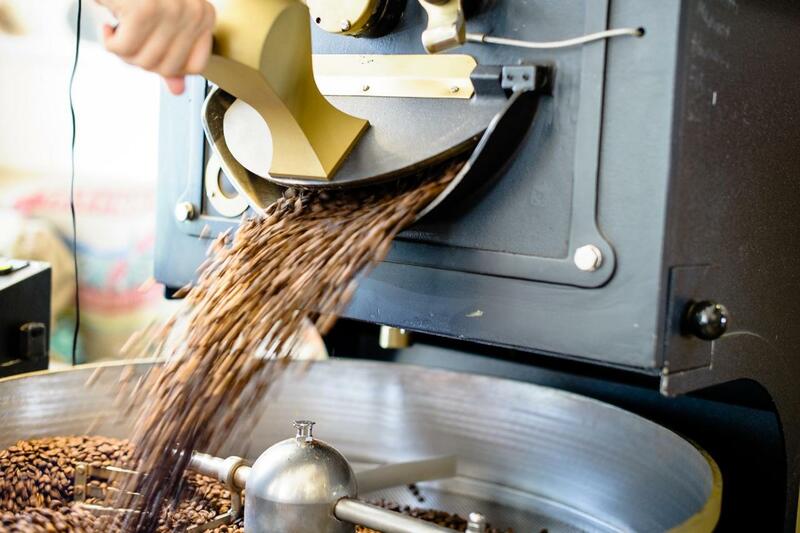 Although she already knew that she wanted to start her own coffee bar, she had discovered another major piece in the puzzle, and decided that coffee roasting would become a central feature in her future plans. 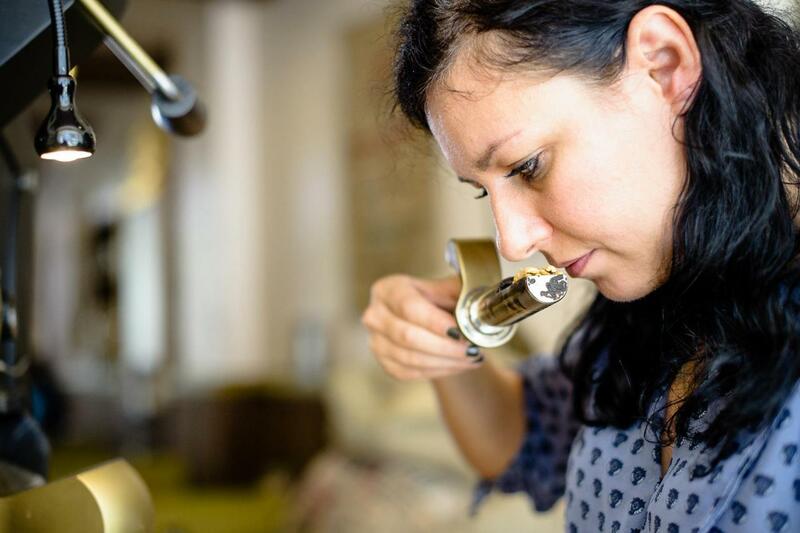 Today, Olga is the proud owner of not one, but two Giesen’s – a W6 and W15 – which serve her popular coffee shop in the heart of Düsseldorf, as well as a larger production facility outside the city that supplies a wide range of wholesale and online retail clients. Ironically, she now caters for the restaurants she used to work for where Die Kaffee Privatrösterei is featured proudly on the menu. As with any experienced chef, the 42-year-old is passionate about the ingredients that she sources: “You open the bag and it feels like going on a trip around the world, and suddenly you’re back in Ethiopia yourself! I love the whole process. Learning everything about the coffee; the plant, the soil where the plant has been – all these nuances and flavours, which are developing in the roast”. But roasting for restaurants also has its challenges and over time, she has learnt that restaurants often prefer a blend that meets their needs. “Not everyone is interested in specialty coffee”, she adds. “Sometimes they just want to be able to press a button and a good coffee has to come out of the machine. Others say they would like to have a coffee with a light acidity, chocolate taste or dark berries. Then I look for the coffees and develop a roasting profile before the client tastes it. In most cases, this works well”. Olga intends to travel to India next year – not only because she enjoys the flavour profile of Indian coffees but the country has a special place reserved in her heart as it was the very first coffee that she ever roasted. Although she has a great deal of experience as a master roaster, Olga is committed to learning more from the people in the origins that she buys from. That is when algrano, as a new way to source coffees directly from origin, first appealed to her. She says the Brazilian Sitio Arroza coffee that she bought through the platform was an instant hit with her customers: “It was not for gastronomes because for them it was too expensive but this coffee was very special and my customers loved it. Direct trade is nice, but what really matters is transparency”, she says. “I like having the possibility to contact the growers directly rather than choose from an anonymous list”. Olga’s mission to reinvent the coffee offer on the restaurant menu is now bearing fruit as local restaurateurs are paying more attention to their coffee selection: “After all, it’s the last cup and taste which their guests have in their restaurant”, she concludes. “Coffee is a great product, which you can develop and process with different preparation methods. They are starting to realize this – which is nice”.